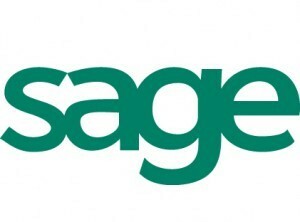 Scan Invoices to Sage Accounting – Need to automate your AP process? Want to scan and OCR invoices to Sage and extract data? iCapture provides a powerful, easy to use document scanning and optical character recognition engine that can capture you invoice information and provide the extracted data to your Sage Accounting. Scan Inbound Purchase Orders – Need to scan purchase orders and enter order information in Sage? With our advanced document capture and scanning product, extract PO, vendor information and product info for direct import to your Sage ERP. HR Document Scanning – Need to scan employee documents and maintain them? With iCapture, HR Document Scanning and OCR is a breeze, and with intelligent cover sheets, you can auto-identify employee documents, and route them efficiently to Sage. Construction Document Scanning – Have large format plans you need to scan and process? Want to maintain and organize insurance info on your sub-contractors? With iCapture, documents can be scanned and processed directly from the site, through our distributed capture feature. Workflow – want to add intelligence to workflow processes and leverage the advantages of business process management (BPM)? See our workflow and BPM solutions. This is a just a small sampling of solutions, and if you have paper or electronic documents to process, we can help. Contact us today for a live demo or more information.